The Secret Providence of God is a reply to fourteen Articles or theses, each of which has a commentary. 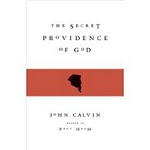 Each thesis claims to assert something about providence that Calvin taught. The document was circulated anonymously, but it is generally held to be the work of Sebastian Castellio. At the end of expounding and defending the Articles the writer draws a comparison between Calvin’s God, the false God, and the writer’s concept, the true God. In due course Calvin replies. The material that now follows touches on this contrast. We have noted the doctrinal and metaphysical differences between the two antagonists. But behind these are important epistemological distinctions. In Calvin’s eyes Castellio’s epistemological approach to Scripture has two important and rather ominous defects. First, Castellio is fond of employing analogies which he devises and then applies to Scripture. These provide him with an interpretative lense. 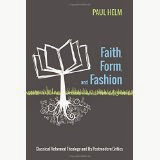 For example, his uses the analogy between God as our Father and fathers in both human society and the animal kingdom. Such fathers care for their children equitably and equally, and can our Heavenly Father be different? How can the one Heavenly Father have those of his children that he elects and those that he passes by? But for Calvin God is one who has the right to discriminate and choose, even though his reasons for choosing are inscrutable to us. He is our Father in the sense that he is our Creator and sustainer, but he has the rights of a Creator and this must never be forgotten. Castellio’s fondness for analogies which fly in the face of what Calvin regards as the clear teaching of Scripture touches on what Calvin sees as Castellio’s second epistemological deficiency, his intolerance of and impatience over any attribution of mystery or unaccountability to God’s ways. Calvin is ready to emphasise human limitations in understanding or explaining God’s ways. Castellio is not. This differences are symptomatic of two different concepts of God, as Castellio notes in his closing remarks. Calvin certainly does not demur, though quite understandably he objects to the personally insulting way in which Castellio writes. In his theology Calvin never resorts to paradox or logical incoherence to address theological problems, even though he readily recognises God’s inaccessibility. But how can his account of God possibly be consistent? How can he have two wills, and not generally permit evil but willingly permit this evil and that evil and so on? How can he proclaim the freeness of his grace, and at the same time elect and predestinate only some (a small minority, Calvin believes) , to salvation? Calvin’s response to such questions is three-fold: To affirm the meaning and truth of the Scriptural data that call forth these distinctions, to resolutely refuse to apply human analogies to God that are not themselves warranted by Scripture , and to affirm (also on Scriptural precedent) that God’s ways are mysterious and unfathomable. Castellio’s strategy is to ignore Calvin’s nuances and to straightforwardly charge Calvin’s God with being the author of evil. Dialectically, Calvin is at something of a disadvantage at such points because he has to answer the charge by deploying these distinctions, as well as by appealing to divine inscrutability, and this procedure seems contrived or self-serving to someone as impatient as Castellio. It is not clear that this exchange changed anyone’s mind, certainly not Calvin’s. What of Castellio? He died six or so years after the circulation of his Calumnies, in 1563, but not before writing a good deal more on these topics. His direct reply to the De Occulta was Harpago, sive Defensio ad authorem libria, cui titulus es, Calumniae Nebulonis. This was finished in May 1558, but only published posthumously. ‘Harpago’ means ‘harpoon’ or ‘grappling hook’ and is probably a reference to his response to Calvin’s charge that he stole wood; Castellio maintained that he dragged driftwood from the Rhine. The book was republished in Gouda, Holland, in 1613, and so was able to contribute to the rise of the Remonstrants in the Reformed church there. It is of course difficult to extrapolate beyond the lives of Calvin and Castellio. But it may be that what Calvin writes against Castellio in 1557 provides us with some clues as to how he would have responded to Jacobus Arminius. Or if not how he would have responded, then how someone who continued to hold the views expressed in the De Occulta would have responded. For we can at least say this much, that Castellio’s concepts of divine foreknowledge and of the relation of the will of God to evil, his rejection of the two-wills doctrine, and of the idea of willing permission, are also characteristic of and central to the theology of Arminius. For Arminius, as for Castellio, divine foreknowledge is conditional divine knowledge of actions in the future, and the divine permission of sin is a ‘bare’ rather than a willing permission, though expressed in a rather more developed and polished way than the rather crude or inchoate theological style of Castellio. Indeed, one might go so far as to appropriate Richard Muller’s description of Arminus’s thinking as a ‘theology of creation’ (rather than a ‘theology of grace’) to the Fourteen Articles and to Castellio’s defence of them.